The river is a central part of all Brisbanite's identities, whether it's which side of the river we call home, or what it represents to us culturally. Forget politics and religion - there's only one great divide that matters to Brisbane and the city's river is central to it. Northside v southside. A designation - some would say a way of life - applied in formative years that Brisbane residents never really shake, no matter where they might end up. Griffith University urban planning lecturer Tony Matthews said beside cultural and food events in the city, the debate over whether the north or south side of the river was superior would continue to rage. "People are inherently local creatures," he said. "People align themselves with a side of the river and often stay on the same side of the river for the rest of their lives." Mr Matthews said communities from each side had diverse challenges and positive aspects of their areas when comparing road structures, commodities and space. "It seems the consensus is generally that the northside is slightly more socially upward but is cursed by narrow, windy roads that don’t facilitate traffic, has endless roadworks and has a lack of useful services," he said. "The southside has a lesser social standing but better roads, better food and far more choice and accessibility with services like mechanics or visiting a hardware store to keep their lives going. "In terms of spaces, the northside has more individual pieces of architecture, heritage buildings and all of the CBD. 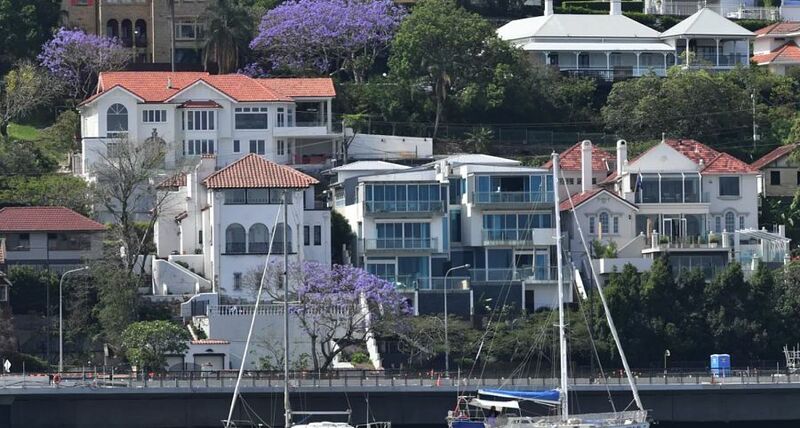 "The southside can claim the first high rise in Brisbane and the visual recognition of Kangaroo Point and South Bank's QPAC, but the northside has a majority of state architecture and heritage buildings." Mr Matthews said despite being creatures of habit and staying on one side of the river for the majority of their lives, north- and south-siders chose where they lived based on what arrangement was best for them. "We tend to align ourselves with what we feel is best for our circumstances," he said. Mr Matthews said Brisbane residents would naturally "test each other" through a series of questions that would determine what type of person they are. "There's a hidden code in Brisbane where people who have always lived here understand it,' he said. "I see them talking to each other in a way where they are exchanging information on what side of the river they live on, what suburb they live in and what schools they went to." The Brisbane River was never destined to be enjoyed as a recreational hub, defying odds to become a hive of activity as a place for watersports, picnics, a leisurely city cat trip or cycle across a bridge. The brown-coloured murky water between South Bank and the Brisbane CBD was once used solely as a means for transport with ships docking tour boats in the 1860s, according to historian Helen Gregory. Ms Gregory said South Bank was the main port for a very long time but described the river itself as “a drain” used by those living on both sides of the river. "For a long time, it was completely incorrect to say people spent time there for leisure," she said. "We talk about Brisbane being the river city and it always was because it was an important feature but not in a sense of people enjoying the river. Ms Gregory said it was World Expo '88, one of the city's most significant events, that placed Brisbane on the map for tourism. "Brisbane has an extremely busy calendar, better than it was five years ago because now it's hard to keep up with consistent events in multiple parts of the city," she said. "South Bank as we know it really didn’t reveal itself until the 1980s when they were getting ready for Expo '88. "It was the first time they wanted to create something pleasant rather than the industrial space along the river that it was. "South Bank then was not the area as we know it. “They still had ships tied there but people would throw rubbish in the river and it was where the fish and seafood came in. "South Bank really didn't become a recreation place until 1988 when the park runs were developed." Ms Gregory said Expo '88 was so incredibly popular that it surged a ripple effect onto the parklands. "The parklands in Brisbane were much more conscious to people rather than shipping,” she said. "It's also important to remember to the first major buildings in the river with riverside centre in Eagle Street wasn't open until 1986." Mr Matthews also credited Expo '88 as the event that triggered the transformation of South Bank. “It’s hard to tell what is the major focal event for the city, perhaps Riverfire because Brisbane throws a good fireworks show and that’s one thing that Brisbane does well,” he said.